Mind the guide sleeves when installing engine front cover. Install the engine front cover (3). 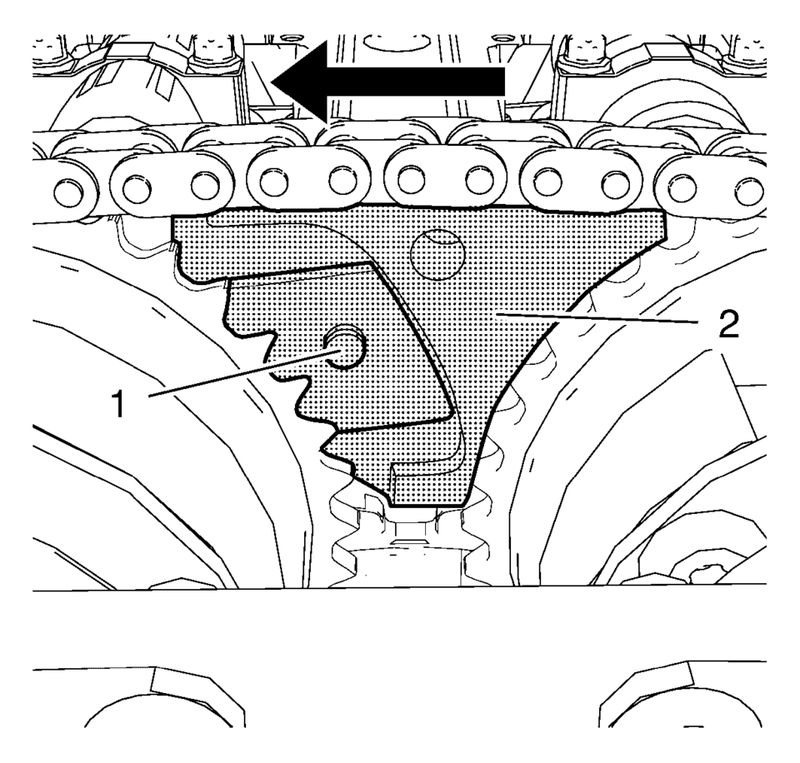 Install the 13 engine front cover bolts M6 (1). Install the 2 engine front cover bolts M10 (2). Push the fixing tool in the direction of the arrow to ensure it fully engages. 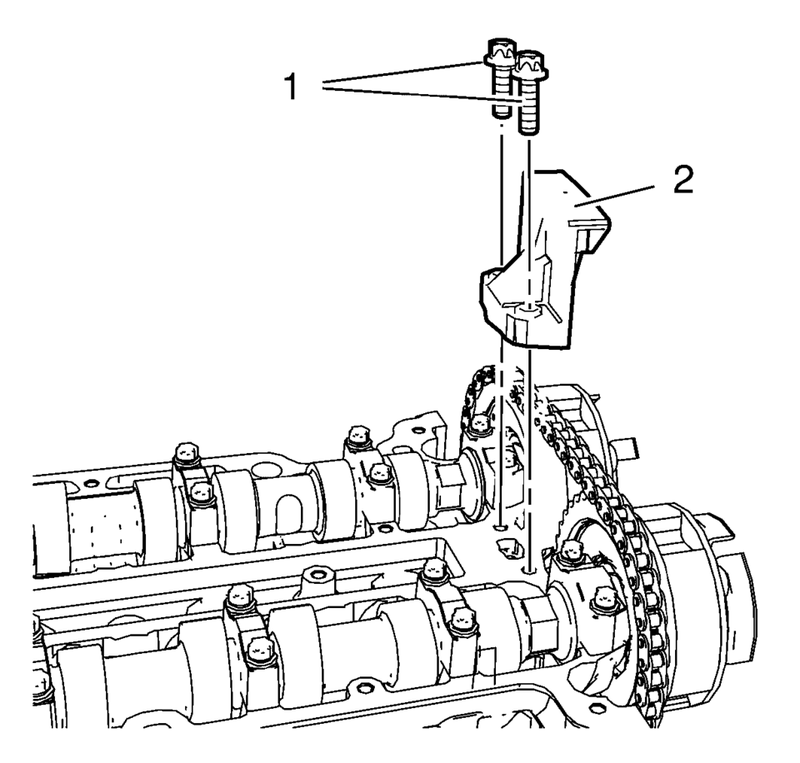 Install EN-49977-200 fixing tool (2) and ensure that the gearing of the fixing tool engages with the intake camshaft sprocket gearing (1). Tighten the 2 fastening bolts (1) of EN-49977-200 fixing tool while pushing the fixing tool in direction of the arrow. Tighten the adjuster bolt (2). A wrong installation position is possible. 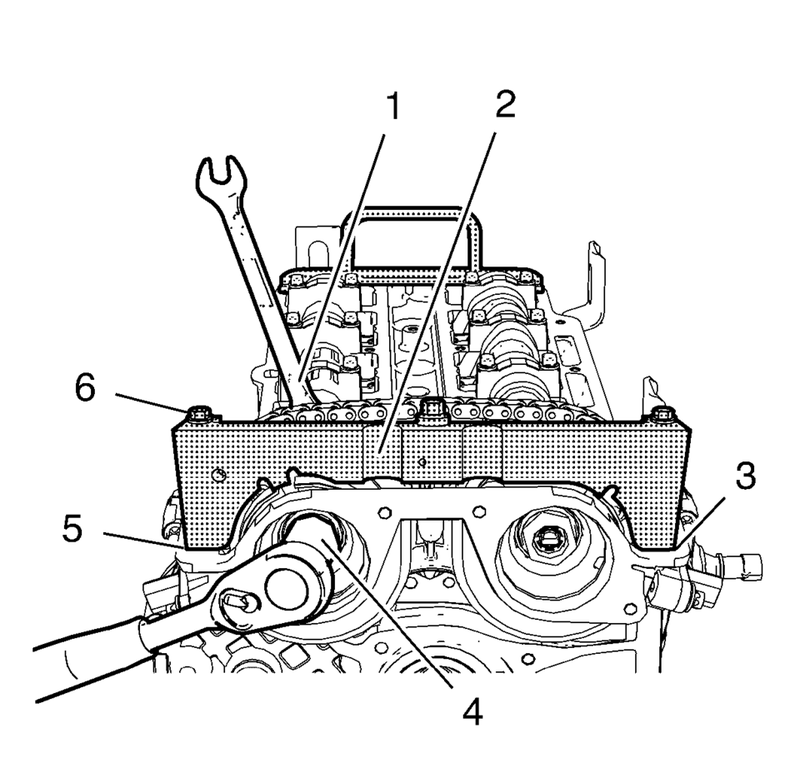 Make sure that the holding tool is fully installed to the cylinder head in areas (3) and (5). 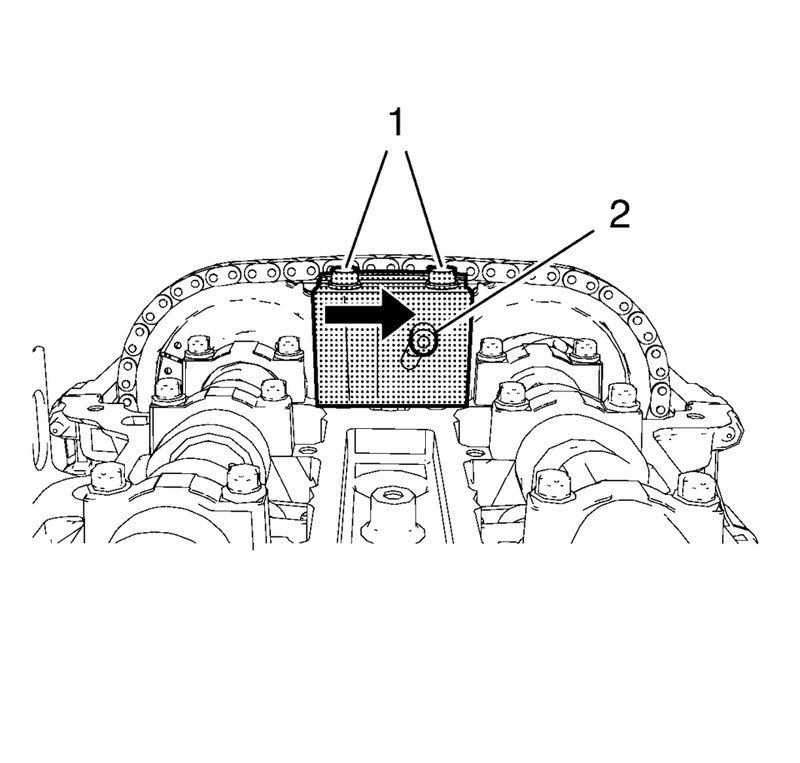 Install EN-49977?E00 transmitter disc holder (2) to find and hold the correct position of the camshaft position exciter wheels. Tighten the fastening bolts (6) of EN-49977-100 transmitter disc holder. Refer to Torque-to-Yield Fastener Caution. Remove EN-49977-100 transmitter disc holder and EN-49977-200 fixing tool. 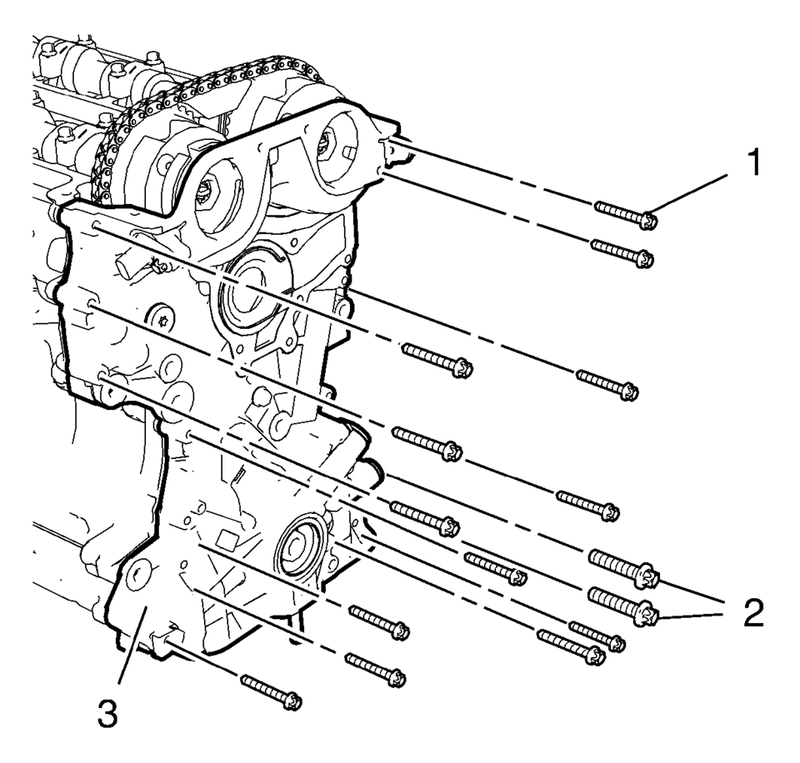 Install the upper timing chain guide (2). Remove EN-953-A fixing tool and EN-952 fixing pin.